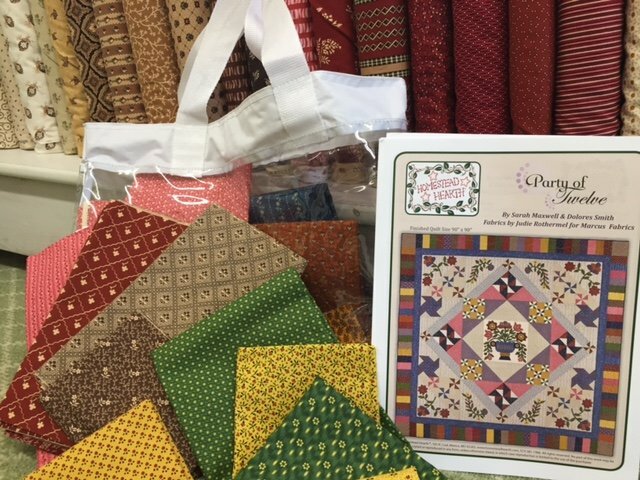 Purchase a "Party of Twelve" kit and receive FREE tutorials on piecing and appliquéing this lovely quilt. Classes begin March 28 and continue until August--last Saturday of each month. The completed quilt is on display in our shop. Come on in and join the party!